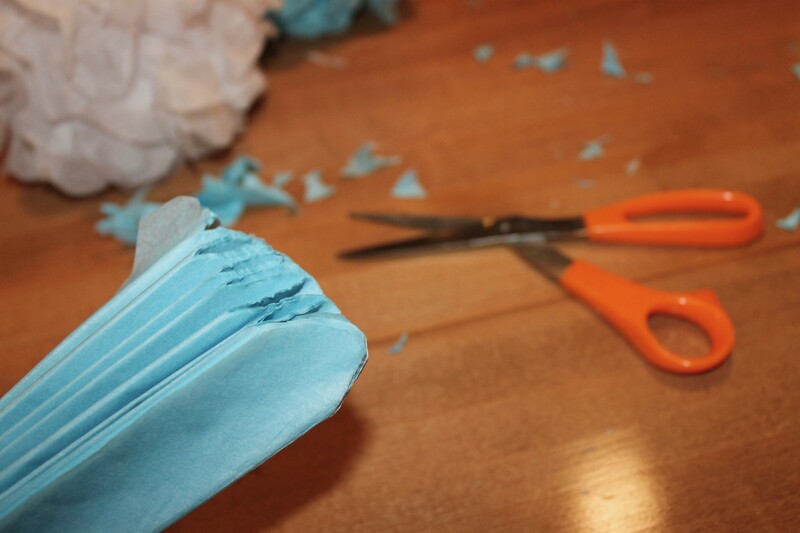 DIY Tissue Paper Pom Poms | mrs. and the misc. These pom poms brighten up any party or shower, and sure you can buy them, but I made a dozen of these for few dollars (you can get packs of tissue paper at the dollar store) versus the $20-50 you would spend buying them online. When they are so easy and cheap to make, why not do it yourself? 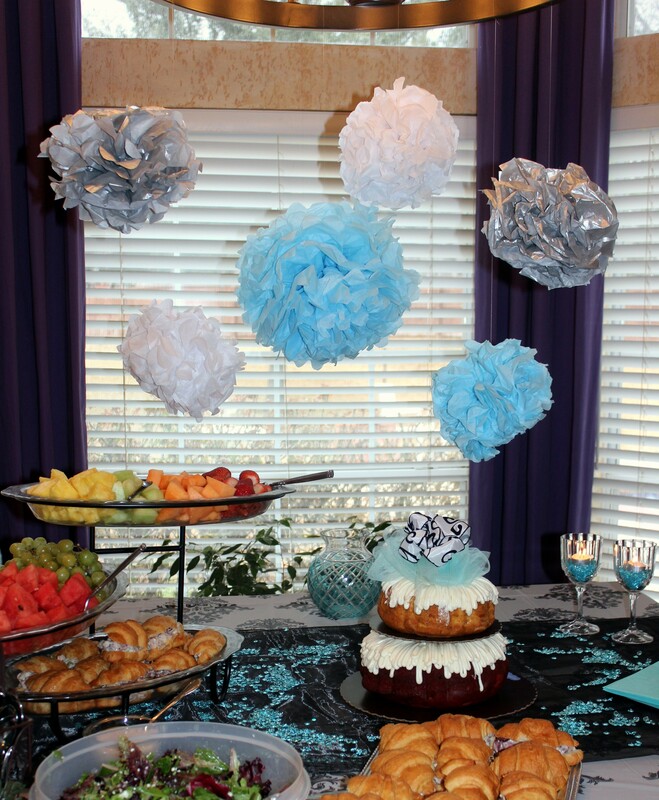 Plus this way you can create a pom pom from any color or pattern tissue paper. All you need is some tissue paper, floral wire, and a scissors, and some thread if you want to hang them. 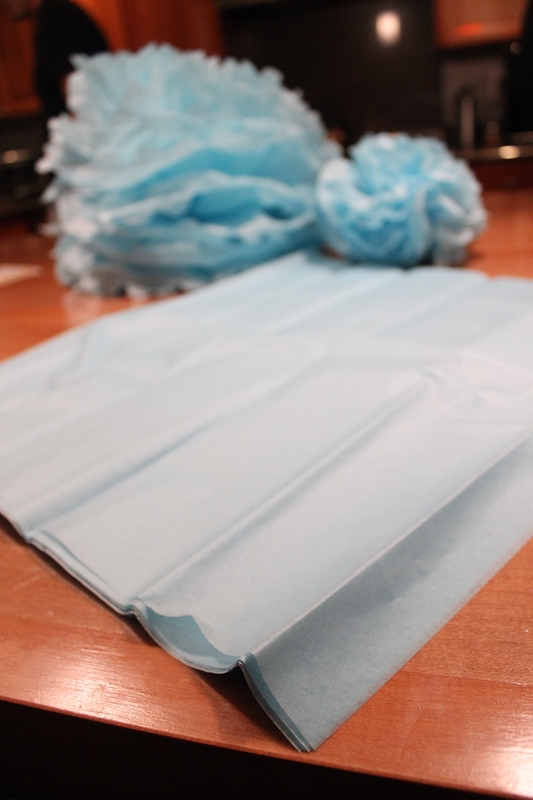 Lay out 8-10 sheets of tissue (for large pom poms use 10). Making 1 in. 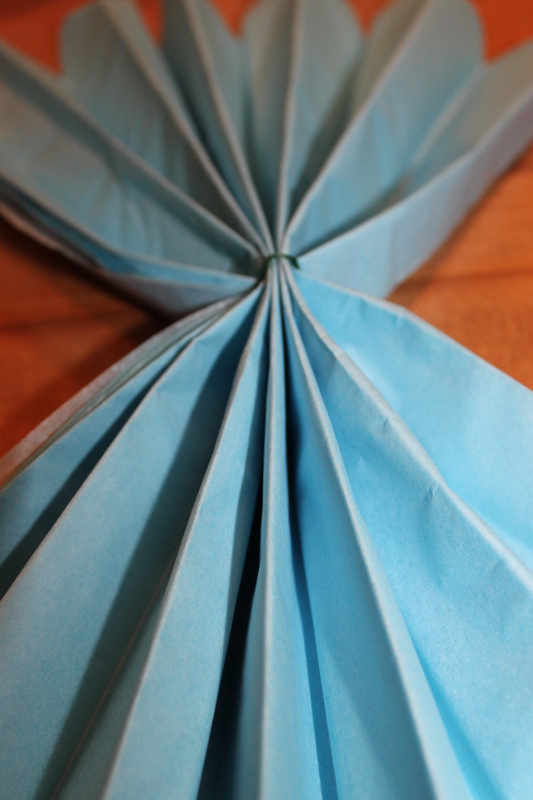 folds, go back and forth in an accordion pattern. Twist some floral wire around the middle. If you want to hang these, you can tie a ribbon or invisible thread around this wire now to save yourself some trouble later. 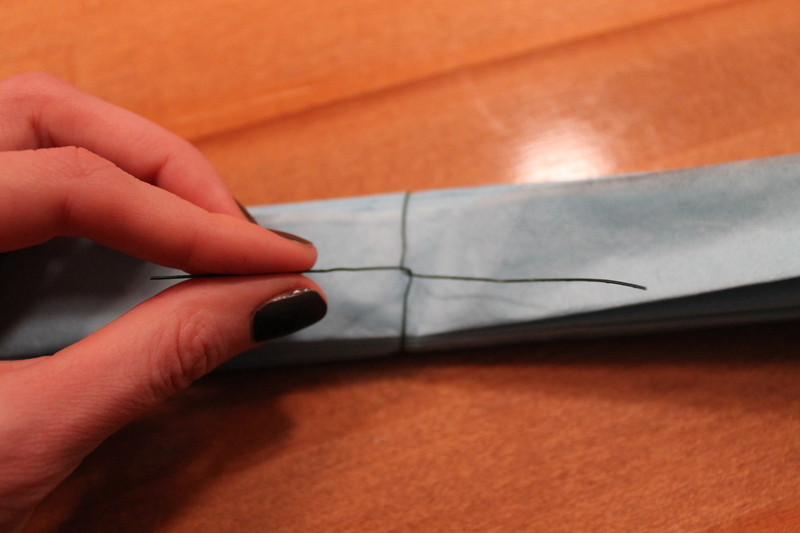 Trim the ends so they come to a rounded point. Spread out like a fan. 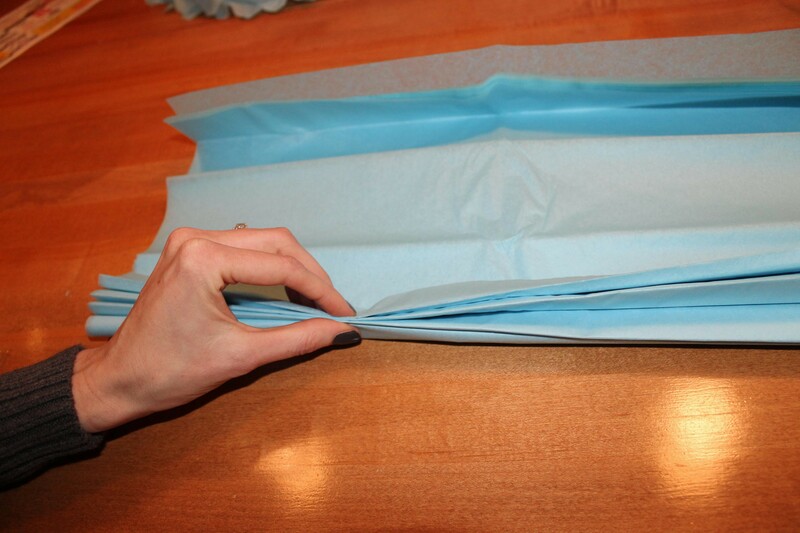 Carefully pull sheets of tissue up toward the middle. 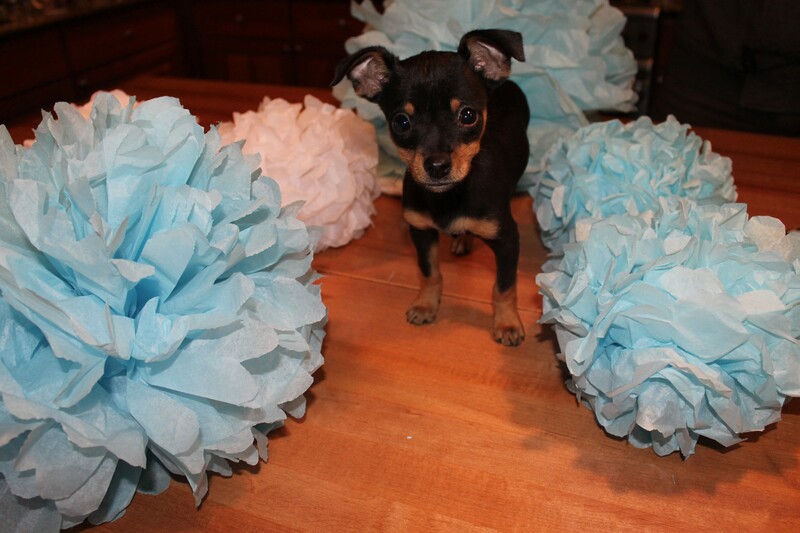 The only thing cuter than these pom poms is my brother’s new baby puppy! Welcome to the family Bruce! 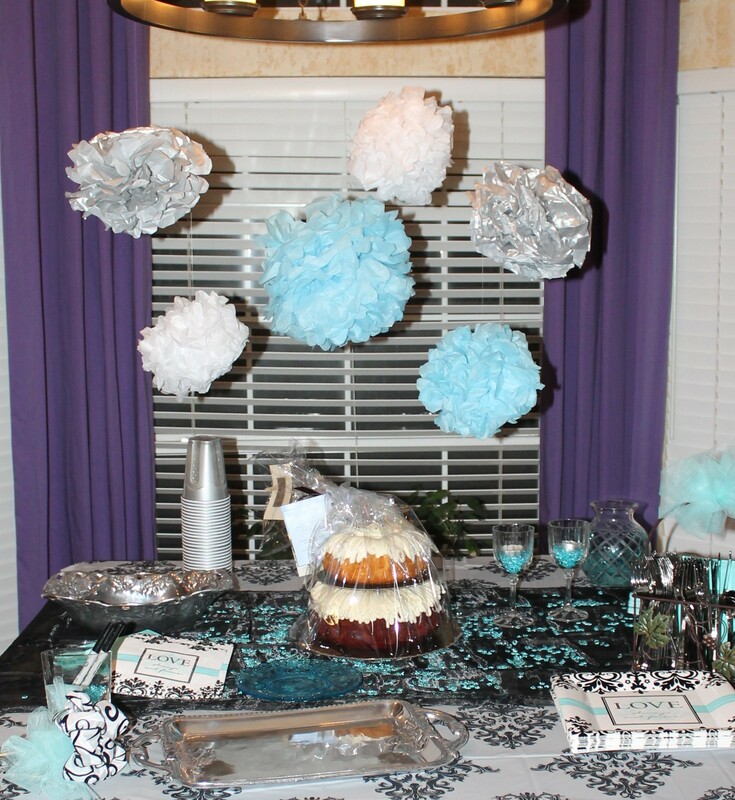 Or from a chandelier to create a fun backdrop for the table at a shower or party! 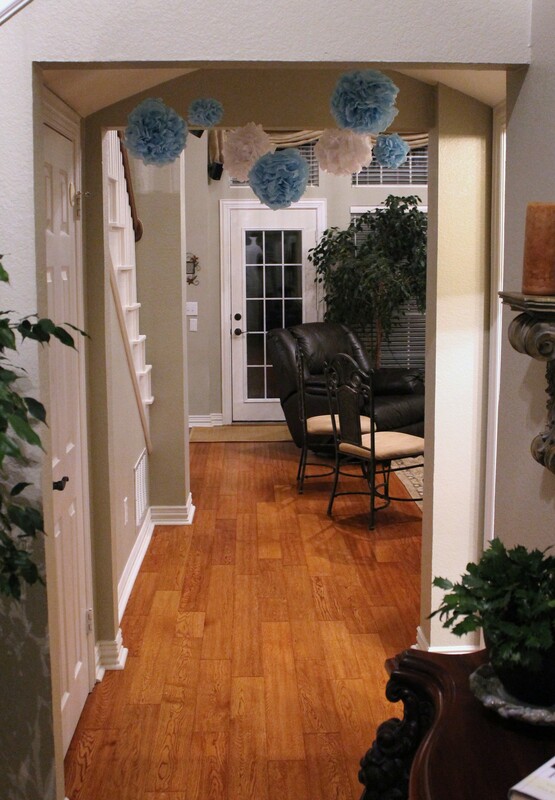 What an adorable and inexpensive way to decorate! Love it! I love these! How awesome. Thanks for the great idea. I’m planning a bday party for my almost 4 year old and didn’t want to invest a ton of money on decorations. Thank you!